Thanks but why are their prices double (or more) on the Target figures? probably because they buy them at Target just like we do and have to make a buck on them too. I was just referring to the new figures. Nosferatu was the same as Target, Invisible man was a little more since to get him they have to break up a case assortment. Nosferatu is available in cases by himself. Toywiz has their prices all over the place. New Romulan and Uhura are $29.99 each! GITD Frank is $22.99. those two will sell and the dress figure variants of Kirk and Spock will pegwarm for them so they are pricing accordingly. They have to buy full cases of Trek to get the new figures from the assortment. 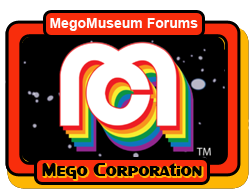 Any word yet on brick and mortar retailers (or retail chains) that are going to carry Mego in 2019 besides Target? All I see so far are online toy sellers, which while fine, is not really mass market seller availability. They are niche sellers in the specialty market, which goes against the grain of what Marty and company said they were hoping to accomplish, vis-a-vis mass market toy sales, with the return of Mego. Last edited by MRP; Jan 21, '19 at 11:29 PM.